This has probably happened to you. You’ve set up your WordPress website and after a lot of effort you release it to the public, waiting for the success you deserve. And your website includes a great blog because you plan to be a blogstar, of course. So, you start writing your first post and discover the possibility to add categories and tags to it. What are you doing now? What’s the difference between categories and tags? How many categories or tags do you have to select for the post? Is there a limit? Is it okay if you select more than one category, or are you messing thins up by doing so? If you do something wrong, will Google get mad at your WordPress? How do you handle this mess? And the truth is, you’ll end up going to your favorite web browser to check if you can find an article that may answer all these questions. If this is your case and you’ve come here, you’re lucky. You’re in the right place. 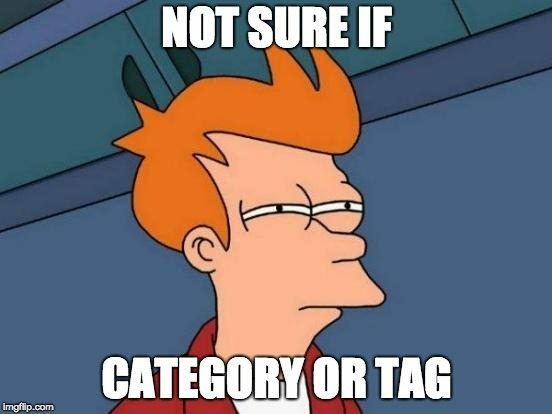 Because I’ll answer all the questions you may have about categories and tags in WordPress. And if I miss something, you can always comment down below. Categories And Tags. What’s that? Let’s start with the basics. Before we discuss any of the previous questions, we need to understand what the categories and tags are. In WordPress terminology, both concepts (categories and tags) are known as taxonomies. And what is a taxonomy? In the context in which we are, we can define a taxonomy as a specific classification of terms or concepts, which may or may not form part of a hierarchy. Let’s imagine a taxonomy of animals where we could have the concepts Mammal and Feline. These concepts serve to classify some of the known animal types. We can also indicate that there is a hierarchy between both concepts, since Feline is a sub-concept within a more generic concept, such as Mammal. Basically, this particular taxonomy allows us to indicate that all felines are also mammals by definition. With this in mind, we could label a cat, tiger or lion within the Feline concept, while a human would be placed within the Mammal concept, but not within the Feline concept (unless we are talking about Catwoman 😉). The categories and tags on your website are like banners in a supermarket. Leaving aside the animal world and returning to the world of WordPress, the only purpose of categories and tags is to classify the contents of your WordPress to improve usability. In other words, when a visitor arrives at your WordPress, she can easily decide to browse through your content in chronological order, first viewing the new posts and then jumping to the old ones, or she can decide to browse through a specific topic, accessing all the posts marked with a specific category or tag, such as all the interviews that are marked with the Interviews tag, which you can view here and which contain interviews. Now you know, use both categories and tags to classify and organize your content into topics. If this is clear to you, we can move on to the next question that I’m sure you’re already considering. We can say that categories serve to create a wider grouping of your posts. You have to see them as general topics or as a table of contents of your WordPress. They’re there to help identify your blog‘s topic. And to help visitors find the kind of content they’re looking for. 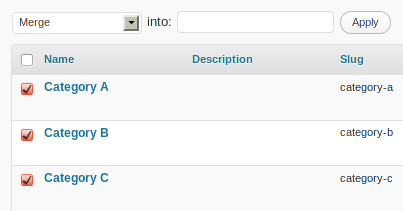 Last but not least, categories in WordPress are hierarchical, so you can have subcategories. It happens sometimes. You don’t know whether to classify something as a category or a tag. 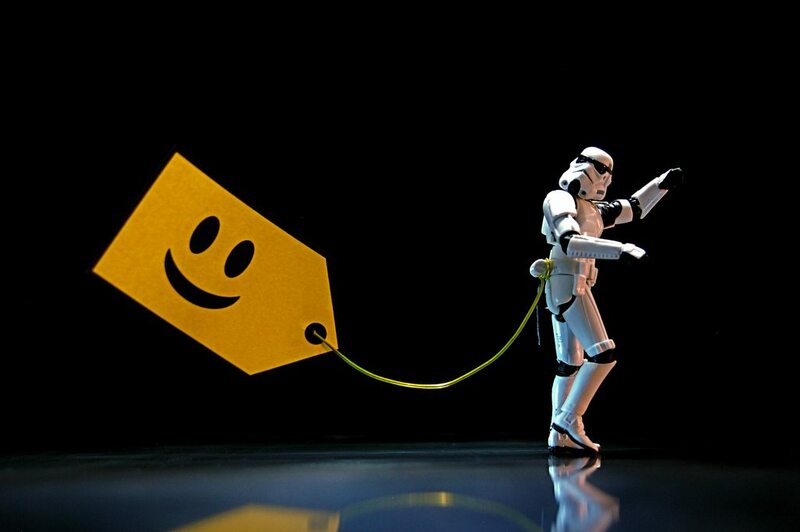 On the other hand, tags are intended to describe the specific details of your posts. You can to see them as keywords that appear in a hypothetical index of your website. They are the micro-information that can be used to micro-classify your content. And unlike categories, tags in WordPress are not hierarchical. For instance, if you have a sports website, you might have a list of categories that includes Soccer, Basketball and Motorsport, among others. So, if you write a post about accidents that have occurred in the last few seasons of the motorcycle world championship, you would add it to the Motorsport category. And you’d put tags on it such as accidents and motorcycle. Another difference to note is that you are required to add at least one category to your posts in WordPress. However, the use of tags is optional. If you do not select a category for your post in WordPress, it will automatically be added to the “Uncategorized” category. Usually you can rename this category to Other or Undefined, if you wish. How Many Categories do I Need to Have in WordPress? As you can see in this post, WordPress version 2.5 was the first to allow the use of tags natively, without the need for additional plugins. Until that day, it was common for people to use lots of categories to simulate having tags. In my opinion, there is not an optimal number of categories to have in a WordPress: it depends on the topic you have and how you want to organize your content. However, if your website is very complex and you need a lot of categories (more than 20, for example), it is highly recommended that you use subcategories to improve the content classification and thus make life easier for your visitors. If you’re new to blogging, just start by creating a few general categories and you can create more as you need them. It is much better to have a few categories that contain content than to have many but empty. Similarly, remember that in WordPress the only function of categories and tags is to help visitors to find the contents of your website according to the organization you have proposed. If you think your organization in categories is enough for your needs, don’t worry about it anymore. You can always add tags to fine-tune more if necessary. Is it Okay if I Assign More Than One Category to a Post? WordPress allows you to add a post in more than one category. And yes, it’s OK to add more than one category, as long as you think doing so will help your visitors find the specific content more easily. However, it is possible that if most of your posts end up being classified in most of your categories you may end up having an organizational problem. Maybe you should make a super-category that includes all the other categories and assign that one directly. Or turn some of your categories into tags. It is clear that the content will change over time and therefore you will have to make your category and tag structure change as well. If it has become obsolete (especially the category part, we already know that the labels are more versatile), you can make changes to readjust it. Don’t be afraid to do this. Just make sure you include redirects in case you change URLs within your WordPress, because you may have changed tags by categories and viceversa. The easiest way is to install the Redirection plugin, which will help you with this task. And don’t worry about duplicated content, Google is smart enough to understand that your WordPress post is classified in more than one category. What is The Limit on The Number of Tags I Can Use in a Post? The truth is that there is no limit. You can add as many tags as you like in WordPress. However, keep in mind that the purpose of tags is to relate your content to each other. So if you end up with so many tags that each one is only added in a single post, that doesn’t make sense. Try not to put more than ten tags on a post, unless you can justify that. Think of ten labels as a lot. It also doesn’t make any sense that you end up with 1000 labels for only 100 posts. Visitors who end up searching for the specific contents of a tag, and access the URL of the tag will see that there is only one post for most tags, and will get a slightly poor impression of the contents of your blog, which is something that doesn’t have to be true. If you think that adding more tags in WordPress will improve the SEO of your website, I’m sorry to say that it won’t. Tags are not what we used to know as SEO meta tag keywords. This no longer works like that and, what’s more, search engines do not use meta tag keywords anymore. SEO experts know that and so do you from now on. So don’t try to deceive Google here. How do I Manage Categories And Tags in My WordPress? From the WordPress dashboard, go to the Posts » Categories or to Posts » Tags to manage all the categories and tags available in your WordPress. The user interface is clear and intuitive enough to make it easy for you to manage everything. 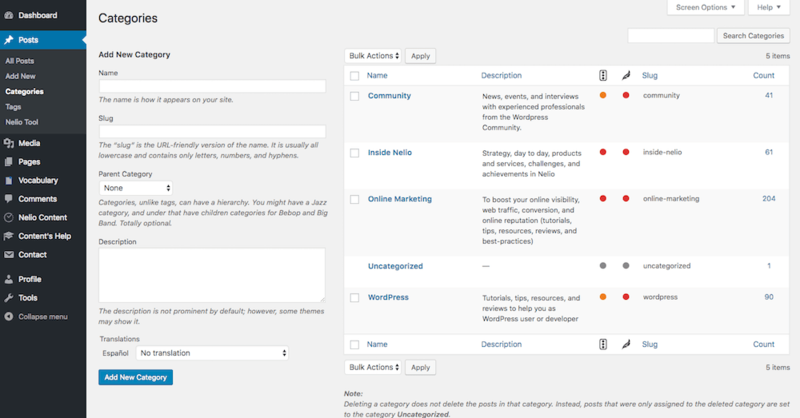 Go to Posts » Categories to manage your categories in WordPress. You can also select which is the parent category of the new category you are going to create. This is how WordPress allows us to create category and sub-category hierarchies. And last but not least, we have the description of the category. Write it in a way that is relevant and presents useful information to the visitor, as it will be used in the meta-descriptions and will positively impact the SEO score. You will find a similar form in the Tags section, although you will usually create the tags directly from the editor when writing a new post. Merge terms with Term Management Tools. On the other hand, if you want to reorganize or merge several similar tags into a single tag, there are plugins that help you do it, such as Term Management Tools. Remember to review your tag and category structure frequently. Categories or Tags. Which is Better For SEO? The million-dollar question. Is there any advantage for SEO when using categories? And when using tags? Well, the answer is that there is simply no advantage. As I told you before, you have to use taxonomies, whether categories or tags, as mere content classification systems to simplify the life of your visitors. And that’s it. Don’t try to do strange things to improve the SEO of your website with categories and tags. If the content is simply good and meets the specific needs of people, the visitors will end up coming. 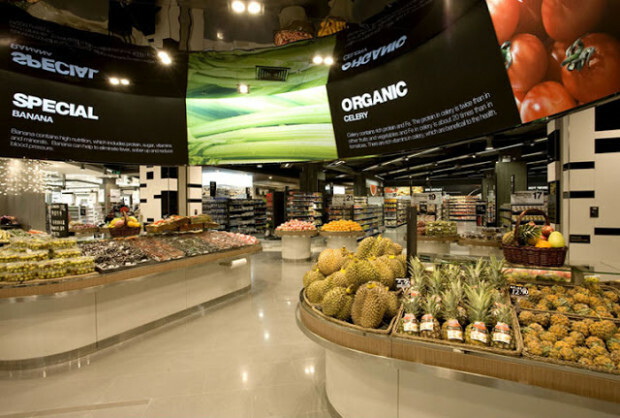 In a similar way to a supermarket, the categories are like the big posters indicating the different sections (fruit, frozen food, meat, etc.) and the tags are like the label of each product, which describes it. Categories can be organized hierarchically (allow subcategories). Tags cannot. A post must have at least one category. Tags are optional. Categories are something you choose before you even write any content. The tags come spontaneously out of the specific content you are writing at any given time. You can use as many categories and tags as you want, as long as it makes sense. Use categories and tags to organize your content and improve the usability of your visitors, not to improve SEO. If you have more questions, comment down below and we’ll try to help you. Featured image by JD Hancock.